I hope you have enjoyed my first article about Siem Reap and the Angkor temples (Siem Reap previous article). Before visiting the Grand Circuit I went for a walk to see a bit more of Siem Reap, and especially the Old Market where you can buy all sorts of things, from food, fruits, electronics, handicrafts, you name it. My tuk-tuk driver picked me up for the grand tour. 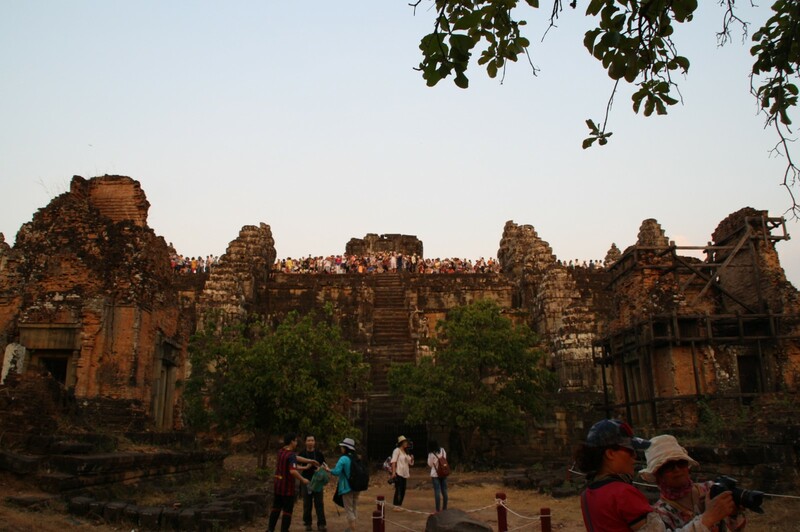 The Grand Circuit is an extension on the little circuit but takes in account others temples such as Preah Khan, Neak Pean to the Eastern Mebon and the various monuments like Ta Som, Preah Rup, before returning to Angkor Wat. Siem Reap itself is a city with not much appeal, it is known worldwide to be the closest gateway to the Angkor region and its temples. I arrived in town late afternoon and went straight to buy a ticket for the Angkor Park. I took the three days pass; it cost $40. My first tourist attraction was the sunset at Phnom Bakheng, a Hindu temple located atop a hill. From there you can enjoy a great view of the sunset over the Angkor temples including Angkor Wat. 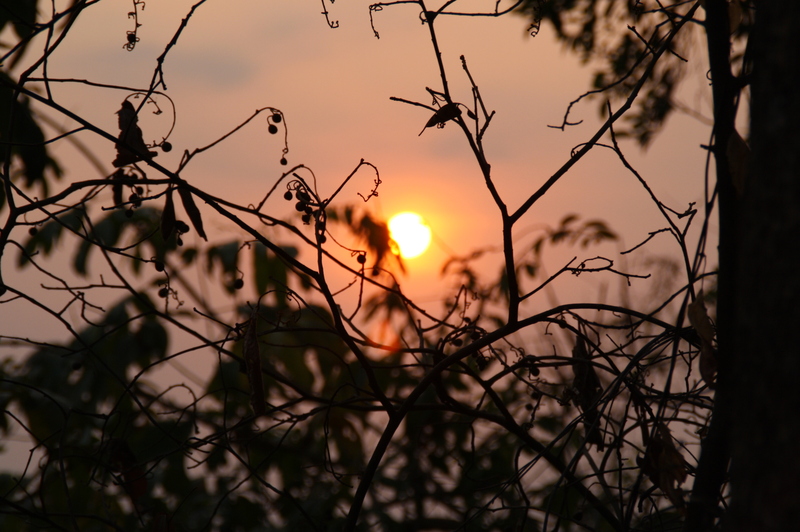 Aside the sunset you also have a great 360° view of the Angkor region. The only thing that might alter the enjoyment is the crowd; so if you are the lonely type, you might want to look for another spot, a bit quieter.